How often do you eat dinner together as a family? Or a proper, sit-down put-some-effort-in meal with your partner, or yourself, when you have small children? As I write this I’m having flashbacks to the early baby days when you grab whatever food you can and eat it as fast as you can, while either waiting for the baby to wake up or eating while holding the baby, one-handed, while dropping crumbs all over said baby. Ah, memories. Nearly five years into parenthood things have improved. But while we do try to eat together as a family whenever possible, this isn’t possible most of the time. Weekends are fine but on weeknights we have a post-school children’s meal followed by an adults-only dinner once the children are in bed. 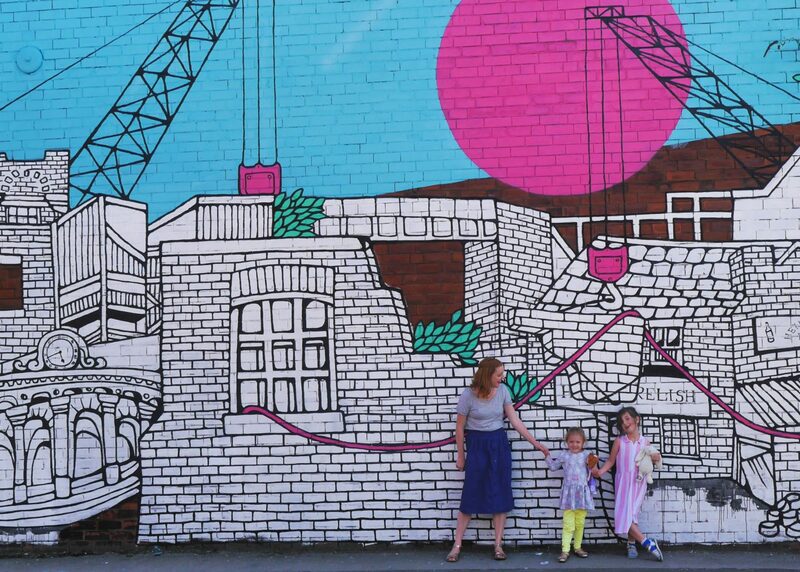 We like eating together so this is mainly due to timings – one of the lessons I’ve learned about primary school is how hungry it makes children, so they would eat my hand if I didn’t feed them immediately, and it’s too late to wait till Alex gets home at around 7pm. But on *those* nights of the long long bedtimes, it can be way after 9pm by the time we come to even think about eating our meal for two, by which time neither of us have the energy to cook a proper meal so it means something quick and uncomplicated is on the menu while we stare at the TV. 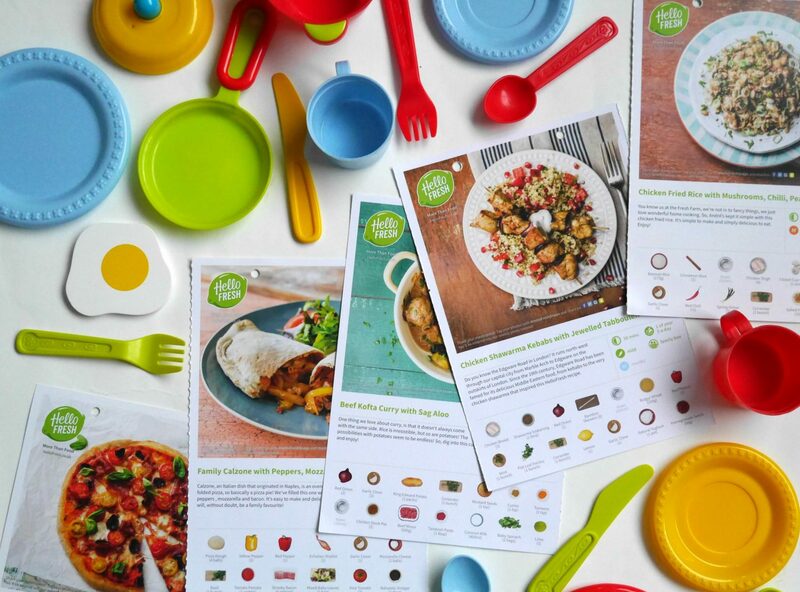 According to new research from recipe box delivery service HelloFresh, four in ten adults now eat their evening meal separately and over half of British parents do not eat with their children. 73% of adults say they no longer sit together around the table at meal times with 69% watching TV or looking at a tablet while eating. In a bid to encourage people to re-commit to the family dinner – and reap the positive emotional and physical benefits that it can bring – Hello Fresh recently launched the Dinner Time Challenge, an initiative to get families eating together for 30 days to reap the positive emotional and physical benefits this can bring. 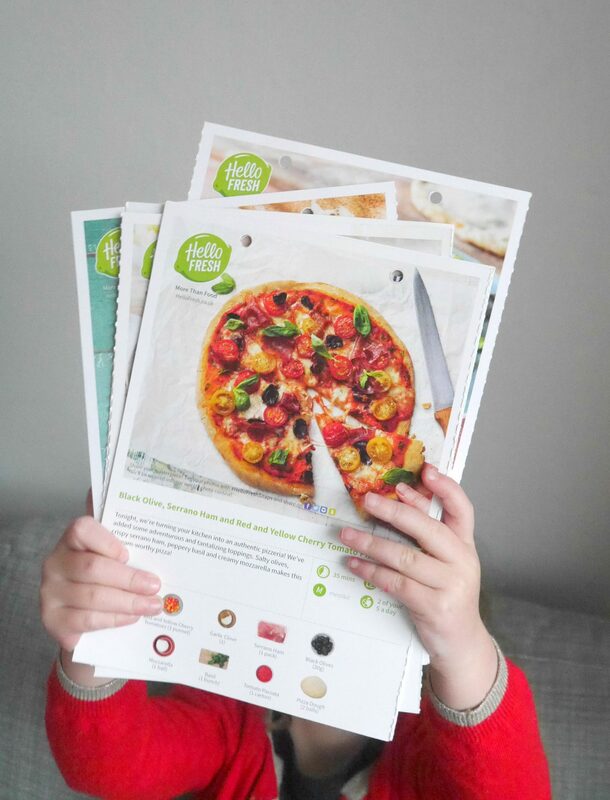 Last year we tried out HelloFresh (read our HelloFresh review but spoiler, we really liked it) and are currently being sent another trial of the family box to help us take the challenge and see if we can eat together as a family more often. We’re trying out the family boxes, which are delivered once a week and contain four larger meals suitable for four people (or for two in an evening with leftovers the next day). There’s also a Classic and Vegetarian box option. Nearly two weeks in to the Dinner Time challenge, how are we getting on? Firstly, it’s having a positive impact on our weekday dinners. 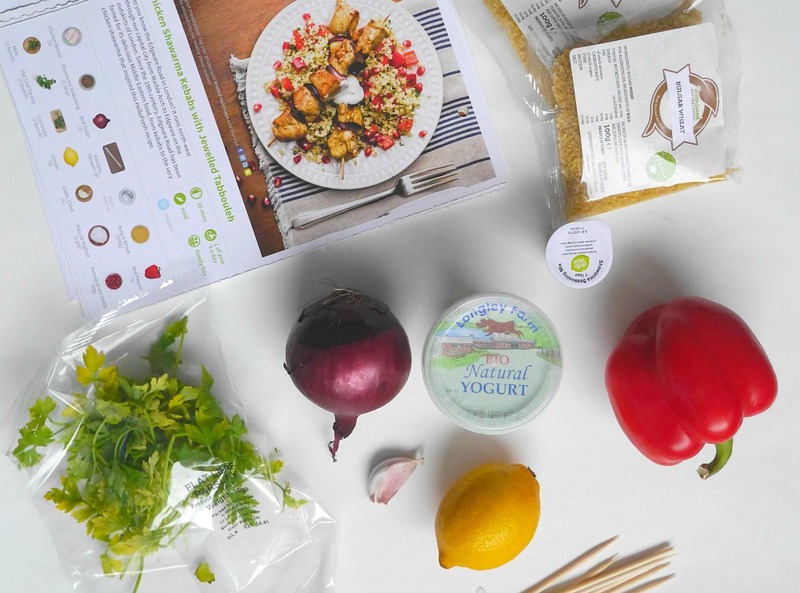 The great thing about HelloFresh is that while you still have to do the cooking, it removes the hassle of shopping and deciding what you’re going to cook (which is great if you’re not the most enthusiastic of chefs in the first place). Knowing we have all the ingredients at hand and ready for a proper, lovely, meal makes it easy to make the effort to actually make it, even when we’re post-bedtime exhausted. Usually we have a 50 / 50 cooking / tidying up split, but as lots of the recipes require a bit of prep, taking the Dinner Time challenge means we’ve also spent a lot more time together hanging out in the kitchen, helping each other cook and *shocker* talking about our day.. As well as actually sitting down to eat together and *shocker* talking. Eating together at weekends – or having the leftovers the next day – means we’ve all tried out new things, especially the children (things like bulgar wheat were a surprise hit). Like lots of families we’re fairly stuck in our ways but this has inspired us to try the recipes and certain ingredients again. 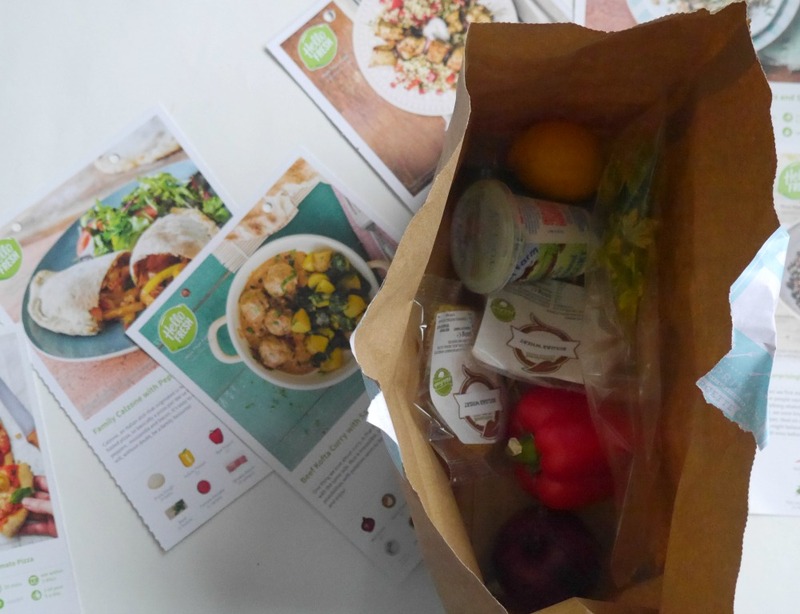 A word on the packaging, which was one of my issues with our initial HelloFresh review – there seems to be less plastic and more paper (all the ingredients arrive in separate paper bags) and you can even download a packaging label to send the boxes and felt insulation back. Obviously, this convenience comes at a price – the family boxes are around £60 a box, or about £4 per person per meal – but it’s tasty food that’s convenient and great for family life. 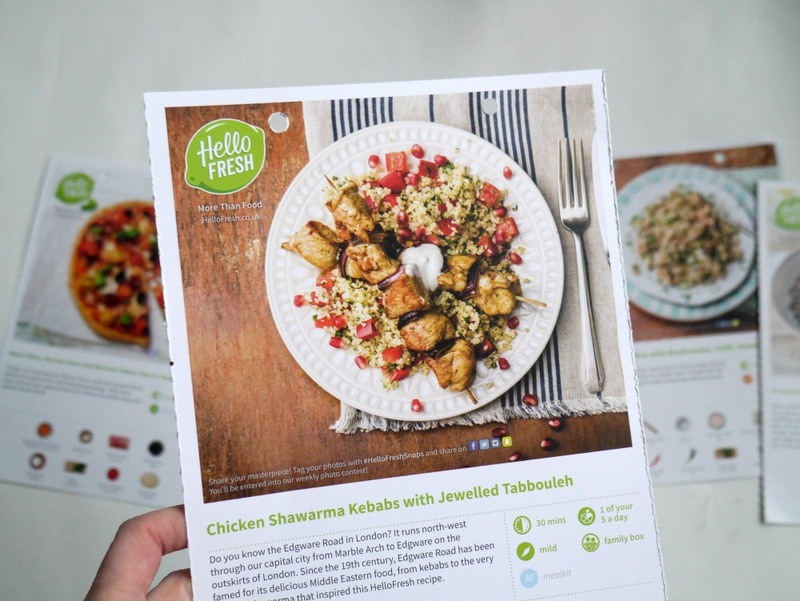 I’ve come across HelloFresh before and it looks like such a great way to take the hassle out of family cooking and shopping. This post has made me hungry!